One of my greatest fears as a guy, ironically, is going through a facial treatment. As someone who hardly follow any daily facial routine, going for regular facials is a scary thing to do. Some would say facials are meant for the ladies and the men don’t get it. Perhaps its also perceived as a feminine activity as it compromises our masculinity when we are under the hands of female therapists. Don’t call me sexist. That’s how I feel. I always thought that facials are very painful as the therapist puts you through a long & boring treatment process. It is also a waste of time as one has to spend up to 1-2 hours to have your facials done. Definitely not a very productive thing to do right? 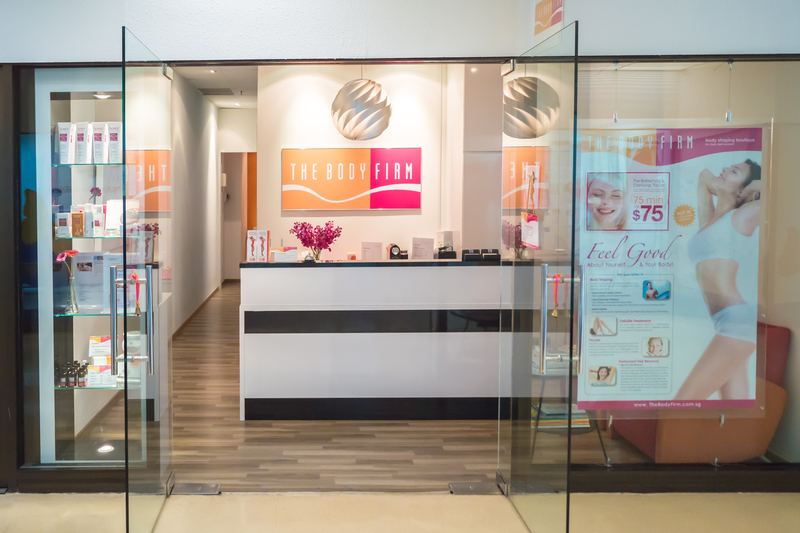 I was recently invited by The Body firm for a facial treatment and it turned out to be one my nicest experiences I ever had. Yes, all my pre-conceived notions about facials were wrong! The treatments were highly enjoyable and relaxing. In fact, it feels more like a massage than a facial treatment. I have opted for the gentle milk whitening facials which is suited for sensitive skin. The treatment helps to retain moisture while the gentle face and shoulder massage relaxes the neck and facial muscles. The Result: It was a Complete Treat! Throughout the treatment, my therapist Stephy was very reassuring as she explains every step to minimize my fears. In fact, she helped me by cracking jokes about my blackheads, which was perfectly fine for me. She said I had many blackheads surrounding my nose and its high time I have them plucked out. I was a little concerned initially and was afraid that it will be awfully painful. As she started nudging my black heads, SURPRISE….It felt like little ants biting my nose, but in a very soothing and therapeutic manner. She counted the number of blackheads I had and exclaimed ‘You have around 20 spots altogether’. I was shocked! 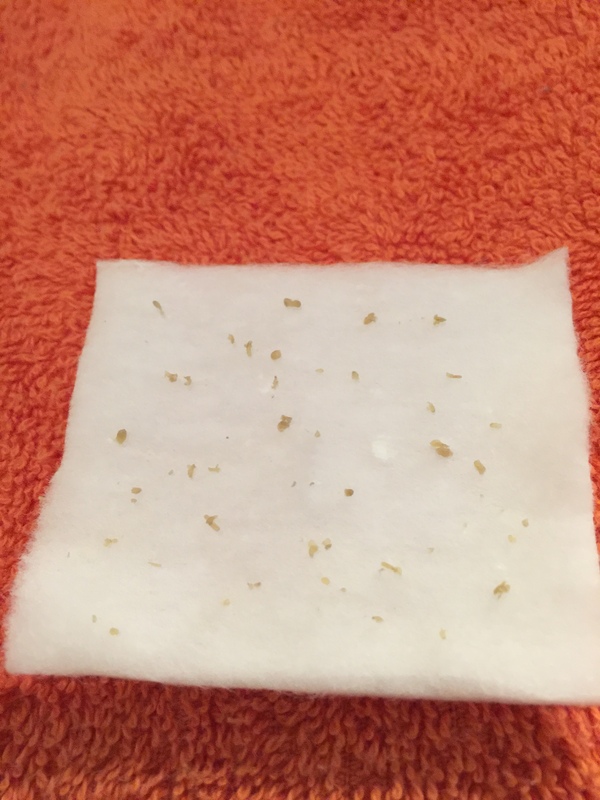 The above are actually my black heads extracted. More than 20? Step 1 – Stephy will start the facial using Lavender Essential oil and perform a point massage on face, neck and shoulder as a relaxing welcome massage. ( She will probably joke about whether it is your virgin trip). Step 2 – She will cleanse the face and neck followed by exfoliation on face and neck for 3-5mins and rub gently. Step 6 – Stephy will place a pre-heated towel roll under the neck for more soothing and comfort. Step 8 – Stephy will apply a creamy Milk Mask on the face and neck and leave on for 15mins. Step 9 – While waiting for mask to penetrate, enjoy a shoulder massage with warm Aroma therapeutic Oil for 10mins ( This is the part where I fell asleep). Step 10 – Stephy will finish the facial with Rose Toner after removing the Milk Mask and SPF30 Sunblock as a final touch. Yes, ALL done in 10 steps within 90 minutes! 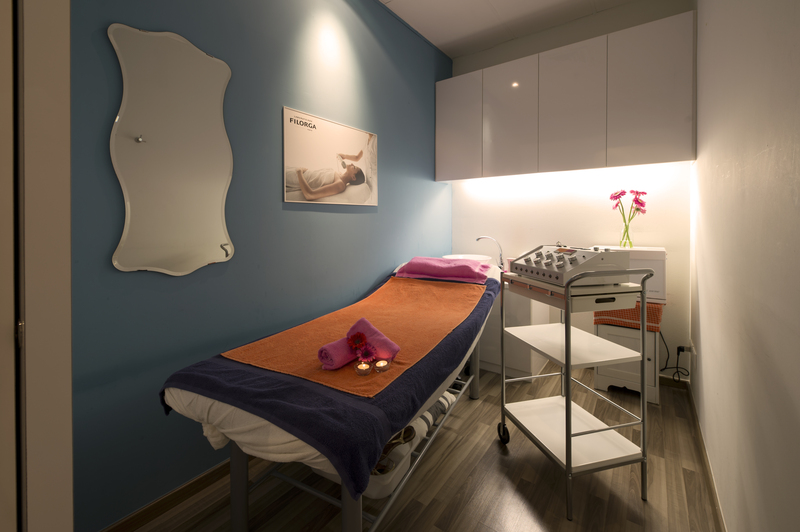 To cleanse, rejuvenate and pamper your skin, you can choose from The Body Firm’s range of high quality facial treatments. They offer a wide selection, from the finest french creams to the laetest ‘freezing’ techniques, including Filorga Cryolift and Filorga Glylopeel. On their own, or combined with an expert massage and other therapises, these treatments can improve your skin’s tone and radiance immediately. Clarifies and detoxifies your skin, working directly with the body tissues to correct imbalances. Using the latest technology from France, this facial cleanses the skin on the deepest level. It soften the pores and has a deep hydration effect. It also increase the radiance of your skin. Gentle, moisturizing and exfoliating facial. Retains moisture while the gentle face and shoulder massage relaxes neck and facial muscles. Capture the youthful charm of your skin with this treatment that energizes the complexion, giving it a renewed glow. This diamond dermabrasion includes a purifying Enzyme Peel. It erases impurities, dead cells and blocked pores for a thoroughly clean and radiant complexion. A dermatological peeling which enriches the skin to regenerate, revitalize and normalize skin pigmentation levels. This treatment is also advisable for normal skin types, wishing to have a renewed ‘baby skin’. The ultimate in face care that includes a warm Manuka honey face mask, gently massaged with our Rose Quartz Crystals. Leaves the skin, soft, hydrated and radiant. Pamper yourself with this super relaxing, soothing and cleansing facial. It was indeed an enjoyable experience having my facials performed at The Body Firm. My face looks clean and smooth after the treatment with more than 20 blackhead spots removed. Thanks to Stephy, my selfie photos look even flawless and perfect. OK, I am Kidding! The shaping boutique houses some very friendly and experienced therapists; experts who are able to make you feel at ease and very professional in what they do. I will definitely recommend all my male and female friends to check out this hidden gem located at Delfi Orchard.